‘Naeckt’ means ‘naked’, but are we "exposing" ourselves? No, at least not literally. We are actually "naked" in the sense of purity and honesty. Our beers are well balanced as we are using pure and natural ingredients; modest and yet refined. The secret is our passion and love in the craft and ultimately the ratio and balance of the ingredients, where less is more. On top of that, also our dedication and patience, on how each type of beer is brewed. We use no additives. We brew our beers only with water, barely malt, wheat malt, rye malt, oats, hops (candy) sugar and yeast. All our beers are unfiltered and not pasturized to keep maximum tast, top fermented with a secondary fermentation in bottles or kegs. Store our bottles upright and drink at a temperture of aproximately 10 degrees Celsius. Who are the naeckte brouwers? Naeckte Brouwers is funded by Michel Lagrand and Jan Albert (Ab) van der Veen. 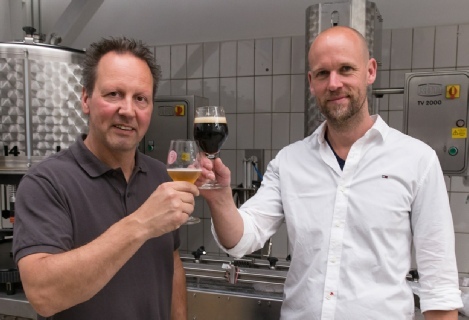 They brewed many years together as a hobby and started in 2010 to sell their beers as Naeckte Brouwers. 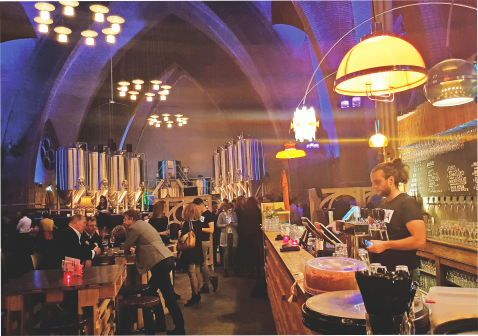 Sometimes a hobby gets out of control and this happened when they opened their first brewery at the industrial area Bovenkerk in Amstelveen. 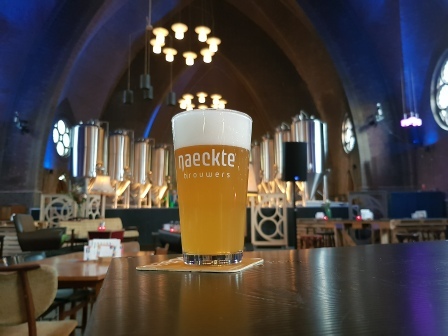 In 2018 they opened a second brewery in the former Annachurch in Amstelveen where they also have their taproom. Michel and Ab are friends who share their interests and passion, and also are true Burgundians who put enjoying at the first place. Together they complement and keep each other in balance in producing high quality handcrafted beers. Our new brewery is open! 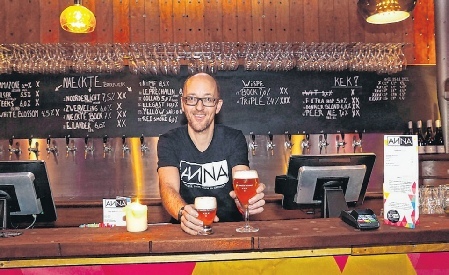 On October 3th we opened our new brewery and tasting room ANNA in the former Annachurch at Amsterdamseweg 22 in Amstelveen. Here you can taste our regular beers and some beers brewed exclusively for the tasting room. Besides simple bites to accompany our beers we also serve lunch and diner. From the taproom you have a beautifull view at our brewery and fermentation tanks. As ANNA is also a cultural centre there is plenty of room for creative and entertaining initiatives such as the pop stage, theater, art exhibitions, talk show, standup comedy, bookpresentations, workshops, etc. On the website of ANNA or the Facebook page you can find more information about our agenda, adjusted opening times and events. ANNA is open on Thursday, Friday and Saturday from 11:00 till 23:00 and Sunday from 11:00 till 20:00 hour. 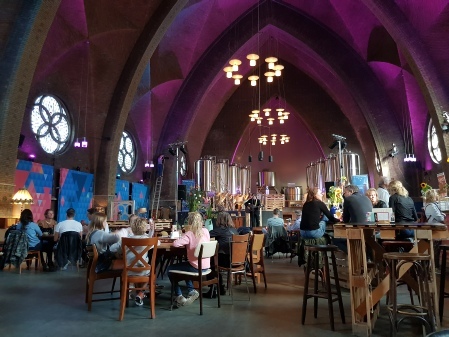 On March 20, 2019, the fifth edition of the Dutch Beer Challenge was organized in Rotterdam. 146 Dutch breweries sent in a total of 441 different beers to participate in this Dutch beer competition. 47 Dutch independent beer experts and inspectors and international specialists have tasted the beers blindly. 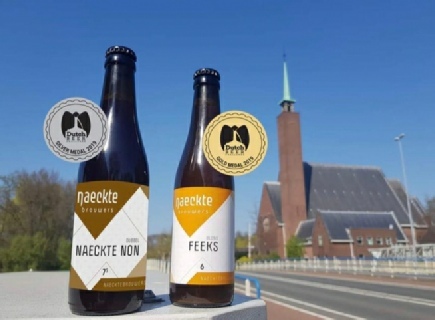 The winning beers were announced on April 18 and our beer FEEKS received a gold medal in the light blond category and NAECKTE NON won a prize in the light dark category with a silver medal. All the more reason to go and taste these beers in our ANNA tasting room, at various cafés and restaurants in Amstelveen or to buy these beers at one of the many shops that now sell our beer. On Saturday 11 May we will organize a beer festival at ANNA for the second time in honor of the saisons. Saison is a beautiful beer style that originates in the countryside of Wallonia and northern France. The seasonal beer was brewed in the farm during the winter months and drunk by the thirsty farm workers during the sowing and harvesting months after a long day of hard work. During the festival, at least 27 different saisons from 18 local and / or friendly breweries are tapped and served. More information can be found on our facebook page. On Friday 24, Saturday 25 and Sunday 26 May we will open the doors of our new brewery in the Anna Church. On these days we provide guided tours, explanations about the brewing process and beer tastings from 2 p.m. to 6 p.m.